After reading about the world’s largest electronics market in Shenzhen several years ago, I finally had a chance to visit it in early 2018 during an engineering trip to the region. I had two afternoons and a weekend to explore its offerings, and I am sure I missed plenty. 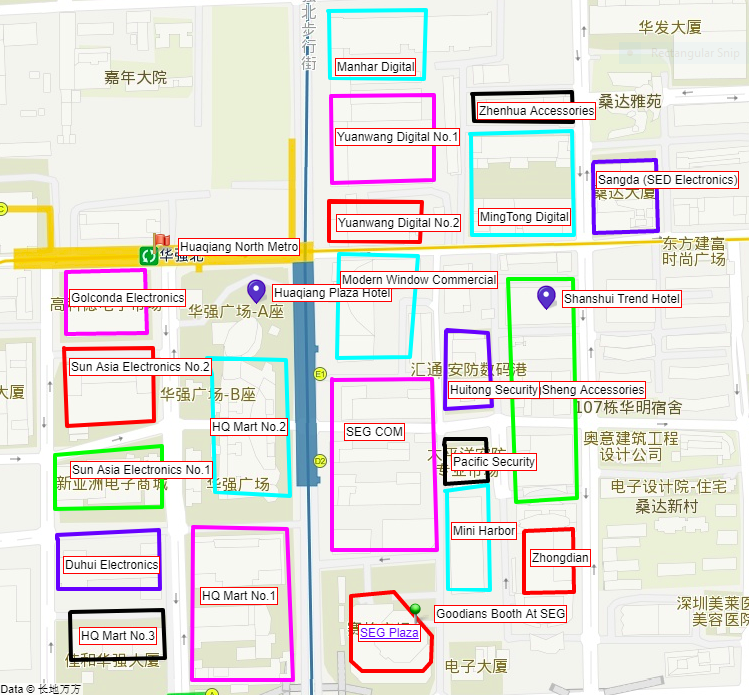 Huaqiangbei (“Huaqiang North” or “HQB”) is a 16+ city block area plus outlier buildings which house representatives of numerous Chinese semiconductor and electronics manufacturing companies located in Shenzhen.